As business owners, we often don’t set boundaries for fear of losing existing clients or not being able to find new clients. But, setting boundaries is necessary to maintain your sanity, ensure alignment with your mission, and build a thriving business. By setting healthy boundaries, you show customers, partners, and funders that you value your time and work. This week, we’re sharing tips for setting boundaries in your business. 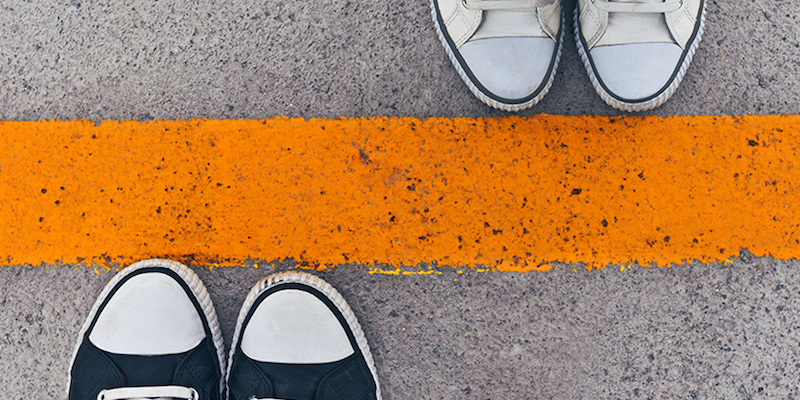 Setting boundaries in your business starts with defining your offerings and your customer base. Your business isn’t going to be everything to everyone. And, trying to meet everyone’s needs is going to drive you insane! You need to set parameters around who your target market is and how you work with them to meet their needs. And then, make sure that information is clearly stated in your website and other marketing collateral, and in your sales process. The increasing pace of emails, texts, and social media can make you feel like you need to constantly be available for your customers. You may even feel guilty when you step away to attend to other parts of your life. While there are times when there is an emergency that requires your immediate attention, that’s not the norm. Most things in your business can be dealt with during working hours. As a business owner you can set those working hours. And then, let your customers know when you are available and only respond to them during those hours. Putting structure to your days allows you take control over your time. Develop a weekly schedule that works with your rhythms. Start with the times you plan on waking up and going to sleep and how much sleep you need. Be sure to incorporate your morning and evening rituals and responsibilities. Identify the best days and times for you to schedule routine operating activities, hold business meetings, work on your business plans, and take time for breaks and self-care. Being disciplined in your scheduling helps keep you on task and supports your work-life balance. Despite our best efforts to set boundaries around our offerings, sometimes our customers will ask “Can you do this one additional thing? Or, can you just change this one thing for me?” When the scope of what you are offering a customer keeps growing beyond the original agreement, it’s called scope creep. You can manage scope creep by making sure you have a clear agreement with the customer about what you are delivering and sticking to what you agreed to. If you feel compelled to offer the additions the customer is asking for, be honest with them that it’s out of the scope of what you do and ask for appropriate value for the additions. An understanding customer will either adjust their request or pay for the additional scope. Customer payment issues can cause financial hardships for your growing business. As such, it’s important to develop standard policies for customer payments, including when they are supposed to pay, how they can pay you, what happens if their payments are late, and whether there are guarantees or refunds. Clearly communicate these policies to your new customers. And before you provide your product or service to them, make sure they have agreed to the terms. As entrepreneurs, we enjoy helping. We started a business because we saw a need and wanted to help by creating a solution. So, it’s hard for many of us to say “no” when we receive a request even if we don’t really have the time or capacity to fulfill it. We might feel guilty about saying “no” or worry about what others will think or say. But, saying “no” helps you avoid disappointing yourself and others in the long run if you are unable to honor your commitment. It also protects your priorities and time by not adding another thing to your plate.